A University of Ulster graduate has been shortlisted as one of this year’s Turner Prize nominees. 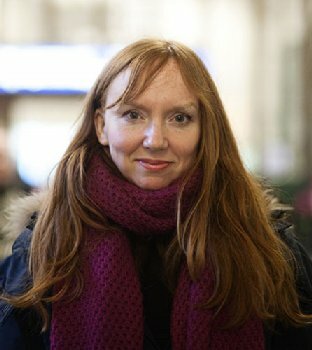 Susan Philipsz completed a Master of Fine Art at Ulster’s Belfast campus in 1994 before embarking on her early career at the Catalyst Arts Centre in the city. She is the fifth Ulster graduate to be nominated for the prize, underscoring the artistic reputation of the University’s School of Art and Design. She follows in the footsteps of Professor Willie Doherty, from Derry, who has been nominated twice for the Turner Prize in 1994 and 2003; Christine Borland, a sculptor, shortlisted in 1997, video artist Phil Collins, who was nominated in 2006, and sculptor Cathy Wilkes, shortlisted in 2008. Susan, who is currently working in Berlin, uses her own voice to create uniquely evocative sound installations. She has recorded three separate versions of a traditional folk song, which tells the tale of a man drowned at sea who returns to tell his lover of his death. It is the first time a sound installation has been shortlisted for the contemporary arts prize. Susan is one of four artists in the running for the £25,000 award. Other works include a painting of the scene where scientist David Kelly died, a collection of broken canvasses laid on top of each other and a series of films. Professor Ian Montgomery, Dean of the Faculty of Art, Design and the Built Environment said: “This is fantastic news for Susan and a tremendous achievement to be shortlisted for one of the most widely recognised contemporary arts prizes in the world. An exhibition of work by the shortlisted artists will open at the Tate Britain today, 5 October, and the winner will be announced on 6 December 2010.